The client can monitor the pressure remotely and eliminate the visit to the platforms for monitoring the pressure. Safety of maintenance personnel will be enhanced. Productivity will be increased by early detection of pressure change. Long range wireless communication without repeaters. Impossible to place repeater between offshore platforms. Needs to deal with height pattern variance caused by tidal level change. To monitor pressure of nine wells with Yokogawa plant-wide field wireless system consists of YFGW410 and YFGW510 using star topology network. Omni-directional high gain antenna is used to get long communication range. 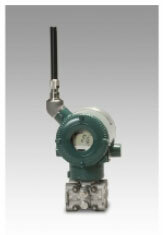 Battery operated pressure transmitters are used. 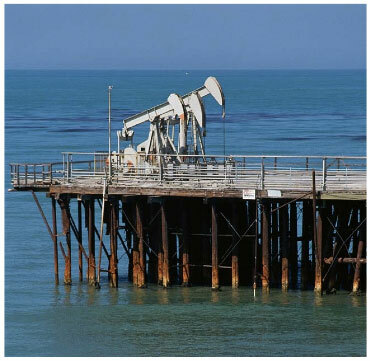 No need for electric power source at well platform. Two access points are installed at different height to prevent for height pattern variance. Eliminating the visit to the platforms reduced operation cost drastically. Safety of personnel was enhanced due to no need for travel over the seas. Productivity enhancement is expected due to early pressure change detection. The long range communication capability of Yokogawa's plant-wide field wireless system enables this offshore application. Currently Yokogawa is working with customer to apply similar systems to up to hundreds of offshore wells. Height pattern is relationship between signal strength and height of antenna. This pattern is generated by interaction between radio waves arrive via different paths. Major factor of height pattern at offshore are radio waves reflected on sea surface and through direct path. Usually height pattern at offshore periodically changes because relative height of antenna from sea surface varies associated with tidal level.